PennsylvAsia: Tanabata (Japanese star festival) at Carnegie Museum of Art, July 7. Tanabata (Japanese star festival) at Carnegie Museum of Art, July 7. 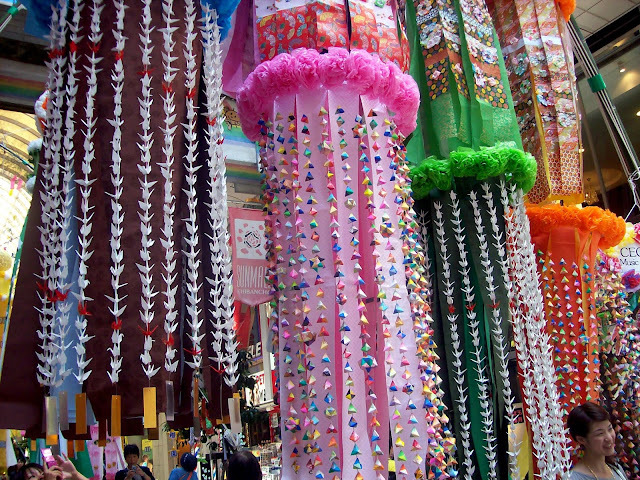 "Sendai Tanabata," by Vanessa Smith (Creative Commons). The Carnegie Museum of Art will host a Tanabata on July 7. Celebrate the ones you love! Tanabata is a traditional Japanese day of celebration based on folklore surrounding the meeting of two lovers kept apart all but once per year. The day is a colorful and festive affair with fun for all! The entire family can visit our Japanese print exhibition Hiroshige’s Tōkaidō Road, make a print to take home, add wishes to the Wish Trees, participate in a decoration contest, enjoy traditional music, create origami cranes, and sample Japanese cuisine in our courtyard. It runs concurrent to the Hiroshige’s Tōkaidō Road exhibit, on display through July 22. The event is free with admission ($19.95 for adults, $11.95 for students with valid ID and children 3 to 18). The museum is located at 4400 Forbes Ave. in Oakland (map), accessible by buses 28X, 58, 61A, 61B, 61C, 61D, 67, 69, 71B, 71D, 75, and P3.